How will health care look like in 2020? Strategic scenarios of healthcare in 2020 was the first result of cooperation within Central & East European Health Policy Network (CEE HPN), co-founded by HPI. 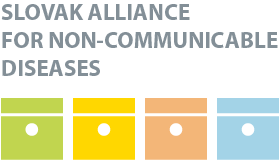 CEE HPN associates health policy experts and think tanks from Central and Eastern Europe. Together they search for answers and solutions to current and future challenges to the sustainability and development of health systems. Who are the power holders – consumers or doctors? According to the answer to this question we can have two absolutely different worlds: consumers’ world and doctors‘ world. The degree of liberalization and/or regulation of the healthcare. At the opposite ends of this dimension we have a very liberal environment and a very regulated environment. These four scenarios are artistically illustrated in the following four short videos. The full text of the scenarios can be downloaded free in English or Czech.